One meal I don’t make often enough is short ribs. They’re not very expensive and definitely filling comfort food. They’re not very hard to make either. Even easier if you use your slow cooker. You can serve them over your favorite starch (ours is extra wide egg noodles). In cooking bag, combine the 2 Tbsp. flour, salt and pepper. 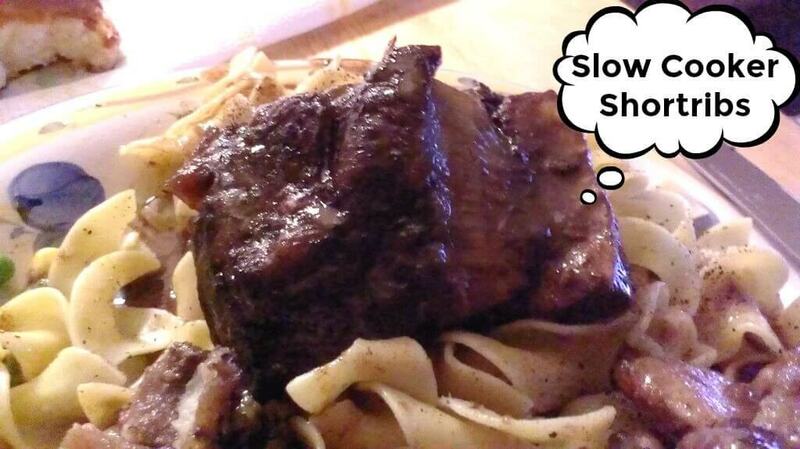 Shake the short ribs one at a time in the cooking bag. In a large skillet, heat the olive oil over medium heat. Add the short ribs and cook, turning until brown on all sides. Combine the rest of the ingredients except for the flour and water in the slow cooker. Add the short ribs. Cover and cook on Low for 6-8 hours. Remove the ribs to a plate to keep warm. Turn the slow cooker control to High. Mix the remaining 2 Tbsp. flour with the water and stir into the sauce. Cook for an additional 10-15 minutes until sauce is thickened. 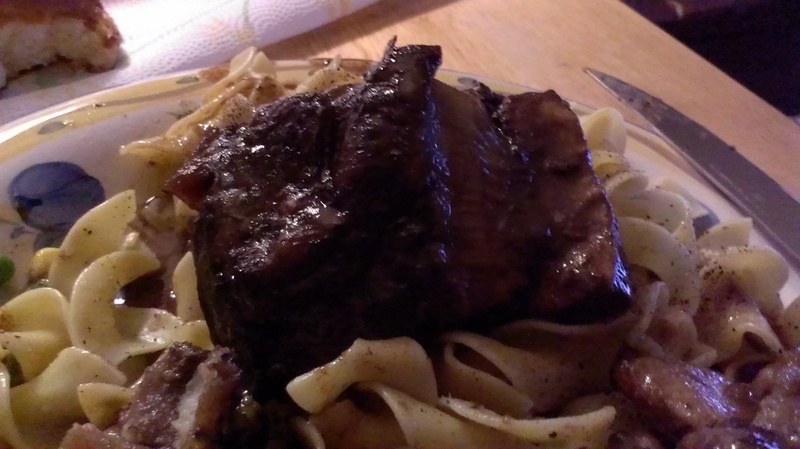 Serve ribs over noodles and cover with sauce.